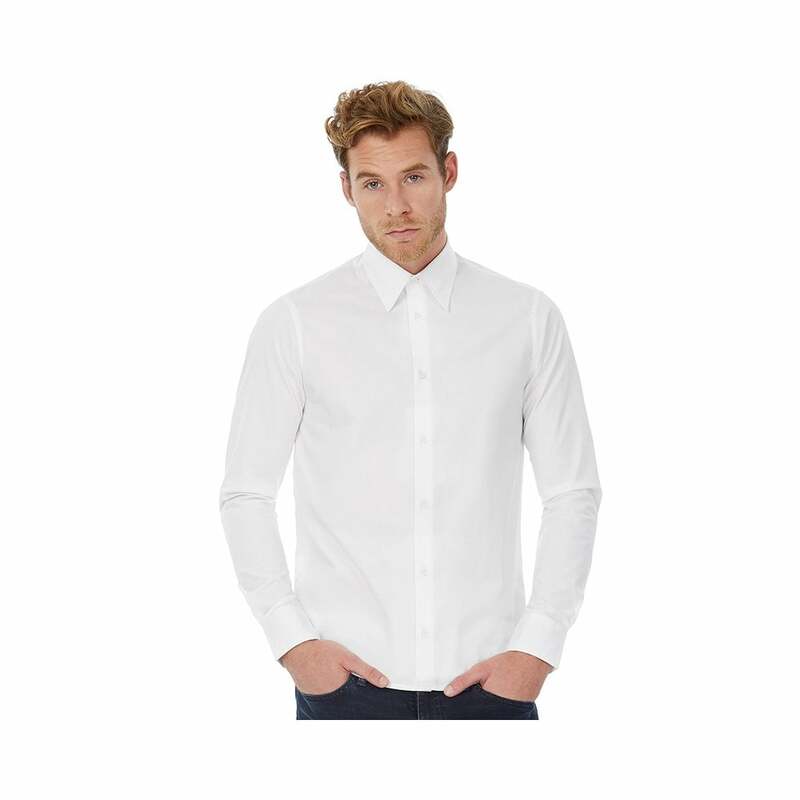 B and C Collection B & C Long Sleeve Poplin London Shirt a smart and practical long sleeved shirt that is ideal for work. The fabric of this shirt is 97% combed cotton and 3% elastane and it has the following features long sleeves, stretch in the fabric, buttons in matching tones and easy to wash and dry. There are 4 classic colours to choose from white, black, deep red and navy. Sizes start at small and go up to 2 extra-large.